Otter and Odder (affiliate link) is a stirring story of true love, tough choices and happy endings. 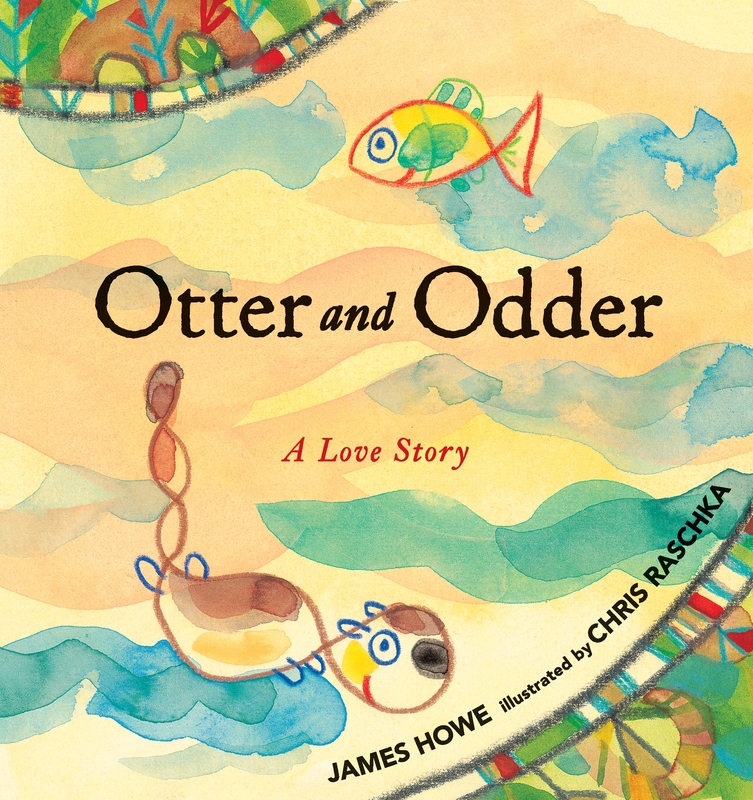 When Otter, on the search for dinner, falls in love with a fish, an obvious dilema ensues. He looks into her “round, sweet, glistening eyes” and finds that he is in love with his food source! Otter has fallen immediately for the little fish, who he understands to be called Myrtle (she answered with a gurgle when he asked her name). What is Myrtle/Gurgle’s take? had not been looking for love, either. She had been looking to stay alive. Emerging from that desperate state, she quickly finds that she too cares about Otter. The two enjoy spending all of their time together but soon the community begins talking and their love for each other is called into question for some very practical reasons. Eventually, Myrtle tells Otter that they cannot be together because the way of the otter is to eat fish (including her friends and family). Heartbroken, Otter encounters Beaver, who subtly offers him a non-fish snack. Otter declines but Beaver savvily mentions that he prefers apples to…fish. This naturally gets Otter’s attention. He begins to experiment with some non-familiar plant foods and finds them very much to his liking. Reunited with Myrtle, they truly do live happily ever after. The idea of what defines a creature valuable and worth loving versus a creature who is meant to be eaten is a key theme that is treated gently and subtly in this sweet book. The text is simple but meaningful and the illustrations are colorful and childlike, evoking an appropriate innocence that is reflected throughout the story. Stories of people who set out very mindfully to make positive change are very valuable but there is also importance in telling stories about ordinary folks — in this case, an otter and a fish — going about their lives and dealing with a unique situation with thoughtfulness and the support of their caring community members. A great read for ages 6 and up.